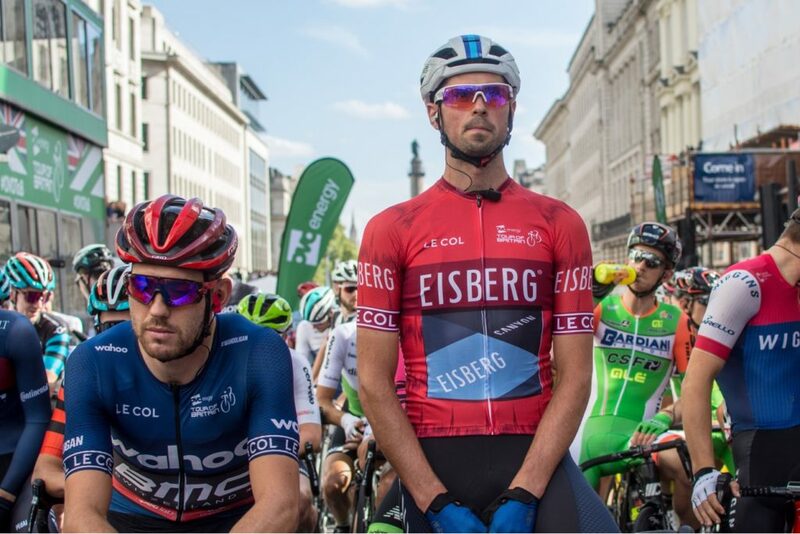 Professional cyclist Alex Paton (28) grew up in Dover and developed his love for cycling riding in east Kent as a young boy. 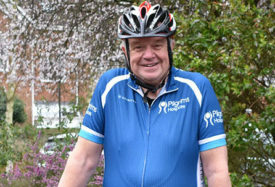 Alex spoke to Pilgrims Hospices about his experiences and shared advice for cyclists ahead of the charity’s 10th anniversary Cycle Challenge event, which will take place on Sunday 5 May 2019. I first got into cycling after seeing a local cycling club’s Saturday practice sessions for kids; VC Deal is a large cycling club in south east Kent and is really the main reason I started cycling. Many of the skills I learnt there serve me well today as a professional cyclist. What was it like growing up riding in east Kent? It’s a great area, with a wide variety of terrain and quality roads. To also have a cycling racing track at Betteshanger Park is a real bonus. Pilgrims cared for a member of my family many years ago. Events like this will enable their great services to continue and help others when they need it the most. What is it like being part of a professional team? It’s brilliant. It takes a lot of hard work and commitment to be a professional athlete, but this is rewarded with experiences and a lifestyle that simply wouldn’t be possible in another profession. Can you share some helpful tips for new cyclists? For me, the most important thing is to always have fun. Sure, there are tough challenges with cycling, but there is always a great feeling afterwards. 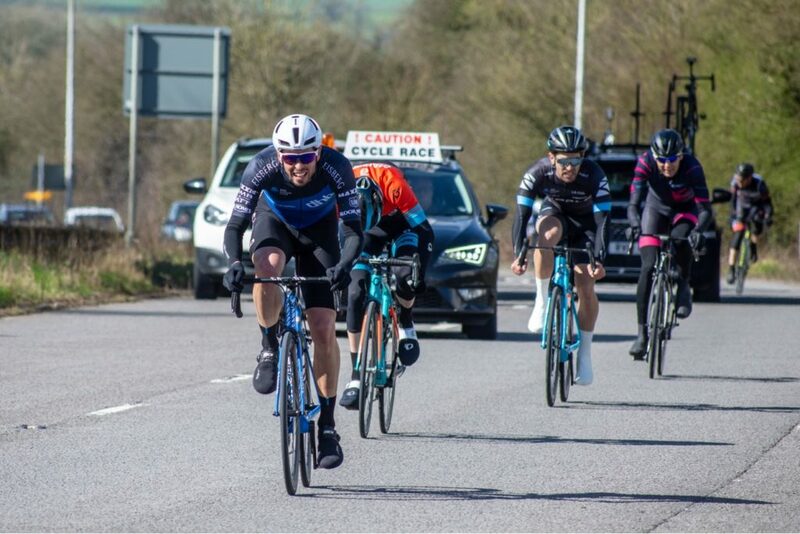 If working towards a cycling sportive or challenge like the Pilgrims Hospices ride, I’d suggest gradually building up towards the distance and time of your event. A little food and drink now and again will keep you fueled up and prepared for a fast finish. Why should people get involved in the Pilgrims Hospices Cycle Challenge and support the care of people who are living with incurable illness? The Cycle Challenge is a great way for likeminded people to get together and enjoy cycling, whilst also raising awareness of local hospice services and improving the support that can be offered for those who need vital care. Pilgrims cared for a member of my family many years ago. Events like this will enable their great services to continue and help others when they need it the most. 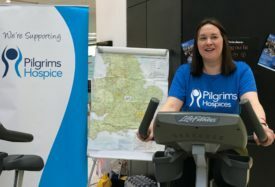 Pilgrims Hospices Cycle Challenge returns on Sunday 5 May 2019. Kent’s biggest charity ride is celebrating its 10th anniversary. Get on your bike and join more than 1,200 cyclists of all abilities as you explore the beautiful Kent countryside with friends, family and colleagues. Standard entry is £30 until Sunday 28 April 2019. Sign up today. Find out more at pilgrimscyclechallenge.org.